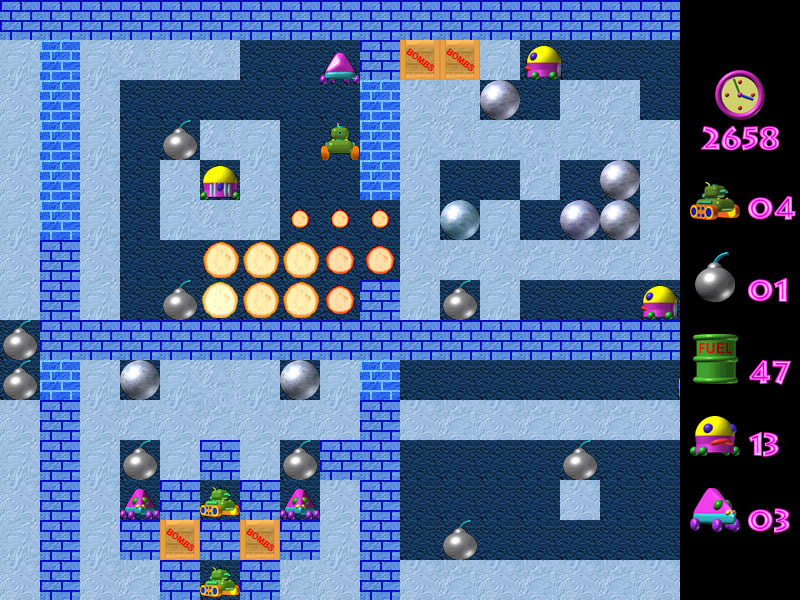 Deep Destroyer is a remake of the BoulderDash game with many new features. The game has colorfull, fast DirectX graphic and good sound. Using underground tank you must clean 30 levels of hostile and dangerous mutants. Tank can eat ground, move stones and put bombs. 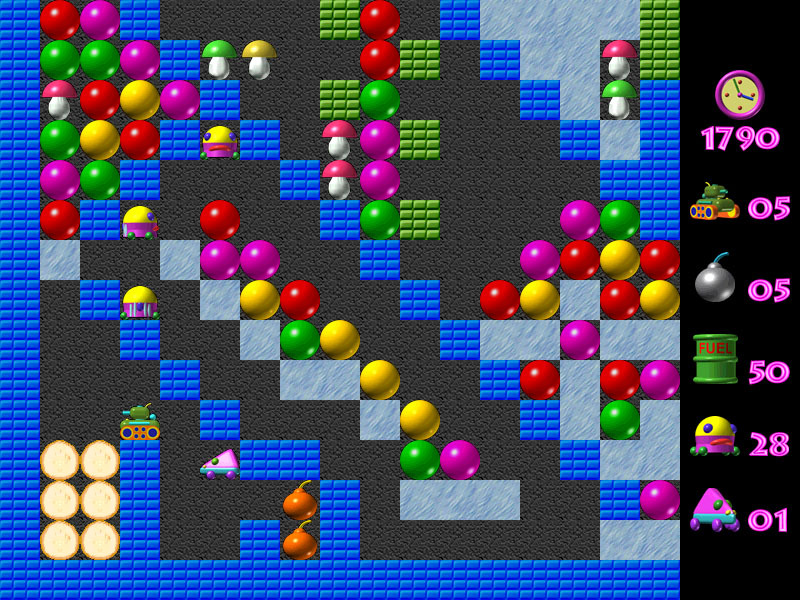 By digging up caves in the ground and throwing down stones and bombs you will destroy monsters. 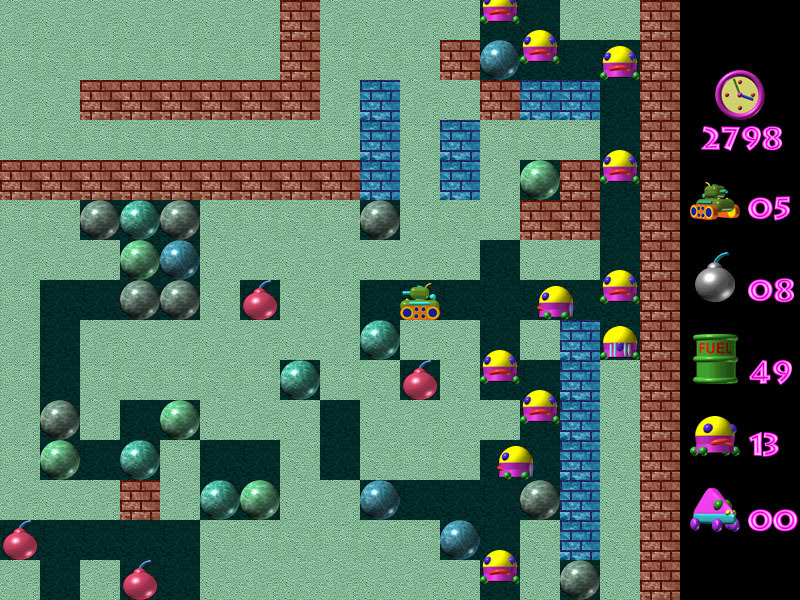 Avoid falling stones, explosions and mutants. Try to play and you will understand quickly the rules of this interesting game! When you begin playing the DEEP DESTROYER, for the first time try to decrease the game speed - it will be easier for you to complete the level. 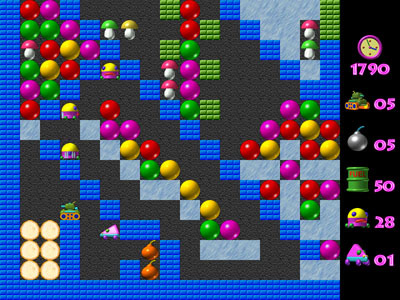 You can always continue the game from the level you had stopped at. The tank has a limit in bombs and fuel. To fill up supplies you should collect boxes and barrels. The time of passing trough every level is limited too. The mutants come in two species - purple and yellow. The purple ones are unpredictable and yellow are smarter. In order to pass trough a level you must destroy all mutants on it. Use the peculiarities of relief. Mushrooms can help you to finish off monsters. Pay attention to the walls - they are of two kinds - impenetrable and destroyable by the explosions. * New version of the good old game. * Fun for all ages. * 30 excellent levels with gradually increasing complexity. * Beautiful pre-rendered 3D True Color graphics. * DirectX Support, cool visual effects and rich sound effects.